Albuquerque has a two-tier EMS system—with a private contractor providing transportation to area hospitals. 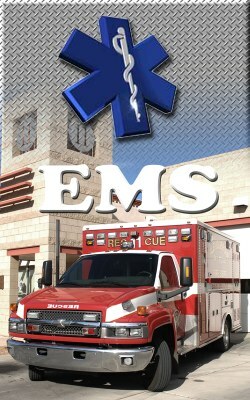 Albuquerque Fire Rescue fire fighters provide the first-tier of the emergency response, including scene control, patient assessment, stabilization and treatment in anticipation of transport. Twenty-three engine companies, seven ladder companies, and three hazardous materials response units provide basic life support while eighteen transport-capable rescue units provide advanced life support to the community. Albuquerque Fire Rescue staffing levels include 471 basic emergency medical technicians and 202 paramedics. Basic life support companies are equipped with semi-automatic defibrillator's for rapid electrical therapy delivery to those cardiac patients that require it. Advanced life support rescue companies are equipped with 12 lead EKG monitors and are capable of performing "Advanced" lifesaving measures. All EMT personnel follow written protocols as set by the Albuquerque/Bernalillo County Medical Control Board. Medical direction is furnished by a contract vendor that provides a physician, who is board-certified in emergency medicine, for guidance and direction on all medical issues. The Medical Director works closely with the EMS Deputy Chief and EMS Division Commander to assure quality patient care through the evaluation and review of the entire EMS system. The EMS Division is comprised of an EMS Deputy Chief, EMS Division Commander, Medical director, contract pharmacist, quality improvement officers; records management services personnel, EMS supply coordinators, tactical medics, an EMS advisory committee and emergency preparedness staff. To report a compliment or complaint, contact 311. To obtain a Fire or EMS Report, contact Records Management Services at (505)-764-6333.